Regardless of where in the world you go, the mention of Honolulu conjures similar tropical images: swaying palms, wide beaches and rolling waves breaking on the surface of sparkling azure waters. The paradisial ruminations are in no way hackneyed: You figuratively step into a picture postcard the minute you set foot on the island of O‘ahu. 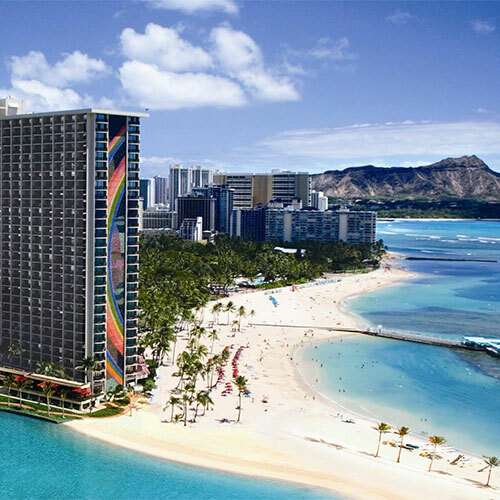 Although the surf, sand and mild weather beckon with irresistible allure, Honolulu also thrives as a commercial center in which Asia and America interlock fingers. The “sheltered bay” throbs as the pulse of the Pacific—a great place to get thousands of miles away from it all without sacrificing metropolitan conveniences. There are many fun places to go, but don't pass up the chance to explore the thriving downtown area, marked by busy streets, towering skyscrapers and a bustling port that juggles ocean liners, fishing boats and freighters. Sites around Pearl Harbor reflect on the city's tragic place in wartime history. Both the state's capital and its largest city, Honolulu lays claim to being the only American city founded by royalty, but there's nothing haughty about it. A laid-back feel floods the lush oasis, where everything moves at a slower pace and “mellow” best describes the enviable way of life. Mix Boston, Las Vegas, Manila, Singapore and Tokyo, put the combination in a natural setting straight out of a painting by Paul Gauguin, add the scent of ginger flowers and the rush of freeway traffic, and you have Honolulu. Capital of Hawai‘i and O‘ahu's largest city, it is a fascinating combination of East and West, frenetic and laid-back, old and futuristic. In the Hawaiian language, Honolulu means “sheltered bay.” The harbor—negotiated by freighters, luxury liners and even a sampan fishing fleet—remains at the heart of old downtown. 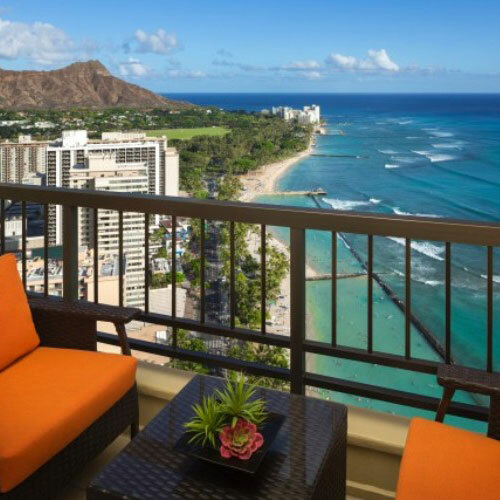 And Honolulu's Waikīkī neighborhood, a surfer's paradise flaunting idyllic sun-kissed beaches, is among the largest resort destinations in the Pacific, its surplus of seaside hotels and restaurants offering respite to countless vacationers. 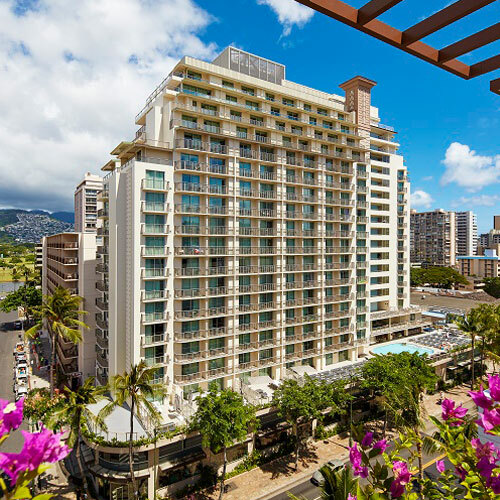 Centuries before the first lodging (the Moana Surfrider, built in 1901) materialized in Waikīkī, Kamehameha the Great, the ali‘i (chief) of the island of Hawai‘i, landed at Maunalua Bay. Intent on conquering and unifying all of the islands, Kamehameha achieved his goal in 1810. Under his careful watch, a trade network between Hawai‘i and Asia, carried out by sea-hardy Westerners, emerged. Kamehameha I died in 1819, the same year whaling ships hailing from New England began utilizing the southeastern O‘ahu settlement as a way station. As taverns and brothels proliferated near the waterfront to meet the needs of rough-and-tumble sailors, a completely disparate group of New Englanders—Christian missionaries set on ending the “heathen” ways of the Hawaiians—began arriving in Honolulu. Eventually, the religious leaders' influence with the Hawaiian monarchy pushed the whalers out. Honolulu became the permanent seat of government in 1845, and from that point the history of the city and the islands as a whole merged. A new Hawai‘i surfaced—one centered on a then-booming sugar industry—with many of the missionaries' business-minded sons among the wealthiest and most powerful residents. Brought in to work on the sugar (and later, pineapple) plantations, Chinese, Japanese, Portuguese, Puerto Rican, Korean and Filipino laborers settled here, further contributing to the varied cultural heritage of Hawai‘i. A popular beach destination, present-day Honolulu stretches along the narrow coastal plain between eastward Koko Head and the necklace of military reservations at Pearl Harbor, an area visited by those seeking out traces of the “date which will live in infamy,” Dec. 7, 1941. Vestiges of the missionary era can be seen downtown, while the Chinatown district, which for a time recalled the bawdiness of Honolulu's whaling years in its now-defunct red-light district, creates an exotic atmosphere with open-air lei stands and herb shops. Honolulu fuses the spirit of the Hawaiian people with tastes, ideals and styles borrowed from Asia, Europe and North America. While watching a dazzling island sunset at one of the many beachside restaurants or bars, you may find yourself enthralled by the sweet murmur of a ‘ukulele, a classically Hawaiian instrument derived from the Portuguese braginha. And, armed with a set of chopsticks in the city's diverse restaurant scene, it's easy to taste the abundance of ethnic influences. Even the two capitol buildings on the island contrast with and synthesize the essence of their periods in a uniquely Hawaiian way. Marvel over Iolani Palace, the only example of American Florentine architecture in the world, before admiring its 20th-century replacement, the Hawai‘i State Capitol, which showcases many of the Hawaiian Islands' striking natural aspects. Situated between the two structures is a statue of the beloved Queen Lili‘uokalani, the kingdom's last reigning monarch. The major approach route to this long, narrow city on the south coast of O‘ahu is the H-1 freeway, which begins near Barbers Point Naval Air Station at an interchange with the west-coast Farrington Highway (SR 93). It skirts Pearl Harbor, connecting with the H-2 freeway and the Kamehameha Highway (SR 99) from central O‘ahu near Pearl City, and continues toward the capital. From the vicinity of Aloha Stadium there is a choice between shorter, less-traveled SR 78 and H-1, which offers quick access to Joint Base Pearl Harbor-Hickam and Daniel K. Inouye International Airport. From the airport eastbound Nimitz Highway (SR 92) parallels H-1, becoming Ala Moana Boulevard at Honolulu Harbor, then Kalākaua Avenue in the Waikīkī area. The approach from Koko Head is via SR 72, the Kalaniana‘ole Highway, which blends into the Lunalilo Freeway, as H-1 is called in the immediate vicinity of downtown Honolulu. Only two roads actually enter Honolulu from “over the pali.” Pali Highway (SR 61) and Likelike Highway (SR 63) both use tunnels to carry motorists across the Ko‘olau Range from the windward (northeastern) coast. They interchange with H-1 at Bishop Street and Kalihi Street, respectively. A third highway, H-3, which offers spectacular views of the island's windward side, connects Kailua and Kāne‘ohe to Pearl City via a tunnel. Because of the irregular shape of O‘ahu, compass directions seem confusing and are seldom used. In their place is an effective method of defining location based on island landmarks. Ma kai is toward the sea; ma uka is inland or toward the mountains or upland. ‘Ewa is used for toward the west, and “Diamond Head” for toward the east. “Windward” refers to the windward, or northeastern, coast. Streets follow the dictates of geography. Those running ma kai-ma uka are numbered from the ocean toward the mountains. Nu‘uanu Avenue divides the “North” and “South” designations used on the main thoroughfares and some parallel streets. Moving inland, the primary ma uka-ma kai thoroughfares in Honolulu proper are Ala Moana Boulevard (SR 92), Kapi‘olani Boulevard, King Street (one-way diamondhead), Beretania Street (one-way ‘ewa) and H-1. In the Waikīkī area the main stem is Kalākaua Avenue, running one-way diamondhead; Ala Wai Boulevard carries traffic back toward Honolulu. Most intersecting streets are one way in alternating directions. The downtown speed limit, unless otherwise posted, is 25 mph; on major one-way thoroughfares it's 35 mph. Unless a sign prohibits it, turning right at a red light after coming to a complete stop is legal. Turning left from one one-way street onto another is allowed if specifically signed. Pedestrians always have the right-of-way, particularly at marked crosswalks; however, both pedestrians and drivers should remain alert. Driving during rush hours, about 6 to 9 a.m. and 3 to 6:30 p.m., should be avoided. Crossing a solid white line is prohibited—and the law is strictly enforced. Do not honk the horn except in an emergency. In addition to the parking facilities provided by hotels, there are privately operated and municipal parking garages and lots. Rates vary widely with the location, but $42 a day is not uncommon. There also is some on-street parking, but this might be hard to find, particularly in the vicinity of Ala Moana Center. Hawai‘i has an excise tax of 4 percent (4.712 percent in Honolulu) on most goods and services. Honolulu has a lodging tax of 10.25 percent; rental cars are subject to state tax and a road tax of approximately $3 per day. Kaiser Permanente-Moanalua Medical Center & Clinic, (808) 432-0000; The Queen's Medical Center, (808) 691-1000; Straub Clinic & Hospital, (808) 522-4000. Hawai‘i Visitors and Convention Bureau 2270 Kalākaua Ave. Suite 801 Honolulu, HI 96815. Phone:(808)923-1811 or (800)464-2924The bureau offers tour information, brochures and maps Mon.-Fri. 8-4:30, except holidays. Spotlight and This Week magazines print tourism-oriented information that is helpful to visitors looking for fun things to do. These free publications are available at most concierge desks and in magazine racks along the street. Busy Daniel K. Inouye International Airport (HNL) is the gateway to the state. Just across Keehi Lagoon off H-1, next to Joint Base Pearl Harbor-Hickam, the airport is served by most domestic and many foreign passenger carriers, as well as interisland and commuter lines. Cab fare from the airport to Waikīkī is $40-$45; limousines average about $175. Hertz, (800) 654-3080, offers discounts to AAA members and has several area locations: the airport, (808) 837-7100; Kahala Hotel & Resort, (808) 735-8983; Hyatt Regency Waikīkī Beach Resort & Spa, (808) 971-3535; Imperial Hotel, (808) 922-3331; and Pagoda Hotel, (808) 942-5626. The largest companies serving the island are TheCAB, (808) 422-2222; and Charley's Taxi & Tours, (808) 233-3333. Prices may be calculated from a base fare of $3.50 with an additional charge of 45c per additional eighth of a mile. There may be an additional charge of $5 per oversize item (e.g., surfboard or bicycle). “TheBus” offers transportation around the island. The base fare is $2.75; $1.25 (ages 6-17); $1 (ages 65+ and the physically impaired). Exact change is required. A 1-day pass, which provides unlimited rides, is $5.50 and may be purchased from the bus operator. Phone (808) 848-5555 for route and schedule information. A free time schedule usually is available at the headquarters, at libraries or at any City Hall. Guides for sightseeing via TheBus are sold at most area stores, but visitors should phone ahead to verify information. Looking for fun places to go? Brave the crowds on narrow, 2-mile-long Waikīkī Beach and spread a towel on your little sliver of sand in preparation for catching some serious rays. Admire the surfers waiting for the perfect wave, and pay tribute to Duke Kahanamoku—the Honolulu native who popularized the sport of surfing in the early 20th century—by placing a lei on his statue. A must-see for every vacation is Pearl Harbor. Stand on the deck of the USS Arizona Memorial (1 Arizona Memorial Pl.) and reflect upon the events of Dec. 7, 1941, when Japanese bombers sank the ship, killing 1,177 sailors and propelling the United States into World War II. Recall other important aspects of that war at two nearby monuments: The Battleship Missouri Memorial (63 Cowpens St.) preserves the “Mighty Mo,” on whose deck Japan signed the treaty ending the war, and the USS Bowfin Submarine Museum & Park (11 Arizona Memorial Dr.) honors the “silent service” and the crews who served valiantly on those underwater vessels. Suit up with fins, a mask and a snorkel—all of which you can rent on the cheap from nearby vendors—and swim with colorful tropical fish in Hānauma Bay; the shallow waters are especially appealing to newbie snorkelers. Lace up your sneakers (or hiking boots) and trek to the 761-foot summit of Diamond Head State Monument (Diamond Head Rd. & 18th Ave.), where you'll be treated to spectacular 360-degree vistas of Waikīkī. The hike is very steep and you'll need to bring water and sun protection, but the breathtaking views make the effort worthwhile, and this is one of the best fun things to do with friends. Play a round at Ko Olina Golf Club (92-1220 Aliinui Dr.) in Kapolei, a scenic course distinguished by its 12th hole, features a drive-through waterfall just below the elevated tee box; the challenging 18-hole course ranks high on many “best of” golfing lists. Marvel at the surfers at Waimea Bay, who fearlessly take on waves that can reach heights of up to 30 feet. The waves are most pronounced in winter; in summer the water is much calmer and the beach is great for swimming and sunbathing, a necessity for any Hawaiian travel packages. Taste unusual foods at nearby restaurants and browse the open-air Aloha Stadium Swap Meet & Marketplace (99-500 Salt Lake Blvd.). On the grounds of Aloha Stadium on Wednesday, Saturday and Sunday, more than 400 vendors gather to sell an array of eclectic goods. Follow the Mānoa Falls Trail (3737 Manoa Rd. ), an easy 1.6-mile round-trip hike that traces Waihī Stream and winds through a bamboo forest and a verdant rain forest en route to the scenic falls. Choose your footwear carefully, as the trail can be muddy and rocky. Haggle for bargains in Chinatown, where you can find beautiful calligraphy, pungent spices, gold jewelry, handmade lei and many places to eat. See what's fresh at a produce, fish or meat market; find colorful trinkets in a souvenir shop; satiate your sweet tooth at a bakery; or treat yourself to some dim sum as you immerse yourself in the cultural traditions of not just China but also Vietnam, Japan, Korea, the Philippines, Thailand and Laos. Scan the impressive panorama of the windward side of O‘ahu from the Nu‘uanu Pali State Wayside —just be sure to hold on tight to your belongings. On exceptionally windy days the trade winds are so strong you can actually lean against them. Ever met a bleeding-heart dove? How about a prehensile-tailed skink? These fascinating critters are among the 900-plus species that call Honolulu Zoo (151 Kapahulu Ave.) home. You can see giraffes, rhinos and zebras in the African Savanna exhibit and get up close and personal with barnyard animals in the petting area during your vacation. At Hawai‘i Children's Discovery Center (111 ‘Ohe St.) kids find fun things to do as they explore science and culture through role-playing and, well, just playing. They can crawl through a digestive system, be a veterinarian, enjoy tea and dim sum in Chinese garb and fly an airplane—all in one day. If you happen to be in town on a weekend from late May to late June, head to Aloha Stadium (99-500 Salt Lake Blvd.) for some good old-fashioned fun at the 50th State Fair . Try your luck at the games; nosh on cotton candy, funnel cakes and fried Twinkies (just steer clear of the spinning Super Sizzler afterward); and ooh and ahh at the amazing European-style circus acts. The phrase “go take a hike” won't trigger eye rolls and deep sighs—as long as it's clear that Diamond Head State Monument (Diamond Head Rd. & 18th Ave.) is the destination. Though it's steep, the trail from the crater interior to the 761-foot-high summit is only .8 miles long, and the reward—a breathtaking 360-degree view encompassing Honolulu and the Pacific—is worth every step. During your trip, immerse yourself in the culture of Hawai‘i at a lū‘au, a family-friendly feast featuring traditional foods like kalua pig and poi (a taro-root dish) and Polynesian entertainment ranging from the hula to the Samoan fire-knife dance. Lū‘au are offered at various locations, but you can't go wrong with Germaine's Lū‘au (91-119 Olai St.) or Paradise Cove Lū‘au (92-1089 Ali‘i Nui Dr.) in Kapolei . What do you get when you cross a false killer whale with an Atlantic bottlenose dolphin? A wholphin, that's what. See this unique hybrid at Waimānalo's Sea Life Park (41-202 Kalanianaole Hwy. ), a watery world inhabited by dolphins, penguins, sea lions, seabirds, stingrays, sharks and sea turtles. Be sure to check the schedule for the always-amusing shows and feedings. For a history lesson that won't bore the brood to tears, pay a visit to the Battleship Missouri Memorial (63 Cowpens St.), anchored at Pearl Harbor . A walk on the decks is an unforgettable experience that should be included when you travel to Hawaii, and a tour of Mighty Mo's realistically re-created interior makes it easy to imagine what life was like for crew members. With its rainbow of reef residents, Hānauma Bay Nature Preserve (100 Hānauma Bay Rd.) is a snorkeler's paradise. Rent some gear and prepare to rub fins with exotic fish that are anything but camera shy. Can't swim? No biggie. The water is so clear you can spot sea creatures from the shoreline. Arrive early, though—the more crowded the water gets, the cloudier it gets. Refuel at Tiki’s Grill & Bar (2570 Kalakaua Ave.) overlooking Waikiki Beach from a huge, third-floor patio. Sample local seafood, choose from a variety of “pupus” (appetizers) and enjoy the sunsets as you listen to live music. Gentle waves and lots of lifeguards make Waikīkī Beach one of the safest stretches of sand on O‘ahu. Families flock here to indulge in activities, including sailing, swimming, sunbathing and sandcastle-sculpting. If you've never tried surfing before, this is the place to start. You can sign up for lessons or rent a board without an instructor. Honolulu's several strikingly designed complexes offer shoppers everything from toothpaste to precious black coral and from tube socks to mu‘umu‘u. Music, dance and other entertainment are frequent added incentives that can't be missed during your vacation. Ala Moana Center , at 1450 Ala Moana Blvd. across from the park of the same name, is the largest shopping mall in both Honolulu and the state. Amid gardens, pools, fountains and sculpture, some 220 stores sell products from the entire Pacific area, and a variety of dining spots satisfy hungry shoppers. The department stores—Bloomingdale’s, Macy's, Neiman Marcus and Nordstrom—balance the center's establishments of haute couture (think Balenciaga and Escada), as well as other upscale establishments like Fendi, Louis Vuitton and Tiffany & Co.
Across from Kewalo Basin at Ala Moana Boulevard and Ward Avenue, you'll find more fun things to do at another Honolulu hallmark, Ward Village Shops . Its five contemporary complexes house about 175 specialty stores and restaurants. Ward Entertainment Center boasts a 16-screen movie theater. Koko Marina Center , 7192 Kalaniana‘ole Hwy. near Hānauma Bay, offers a number of shops and eateries as well as water sports rentals. Downtown Honolulu, like mainland cities, has been experiencing some urban revitalization. One successful result was the conversion of Fort Street into an attractive pedestrian shopping mall. Chinatown is a 15-block area bounded by N. Beretania Street, N. Nimitz Highway, River Street and Bethel Street; the proudest development of its renovation is Cultural Plaza , where Chinese shops and restaurants showcase the multicultural character of Hawai‘i. One of Honolulu's most recognized landmarks is the centerpiece of the Aloha Tower Marketplace , on the waterfront off Ala Moana Boulevard. This 10-story tower, built in 1926, was for decades the tallest building in the city. Residents would line up along the docks and welcome the sailing ships and big steamers with a hula dance, music performances and flower lei. Today the tower can still be seen from the water, and the observation decks on the top floor provide a scenic view of the Honolulu skyline. The surrounding marketplace includes about 30 shops, dockside restaurants and other fun things to do with friends. Now part of Hawai‘i Pacific University, the mixed-used space also includes student housing. In Waikīkī, the most concentrated shopping district is Kalākaua Avenue, which extends from downtown Honolulu all the way to the end of Kapi‘olani Regional Park. The Royal Hawaiian Center , 2201 Kalākaua Ave., is the area's answer to Ala Moana Center. Stretching three blocks and four stories, the center has more than 110 shops, places to eat and services. Chanel, Gucci and Saint Laurent Paris are among the retailers along Luxury Row , 2100 Kalākaua. There are 150-plus establishments at the Waikīkī Shopping Plaza , 2250 Kalākaua Ave.
International Market Place , 2330 Kalākaua Ave., is a posh, three-level, open-air shopping and dining destination anchored by Saks Fifth Avenue. The retail center, which opened in 2016, creates a relaxing environment with splashing water falls, shaded walkways and lush tropical foliage that includes a massive 100-year-old banyan tree. 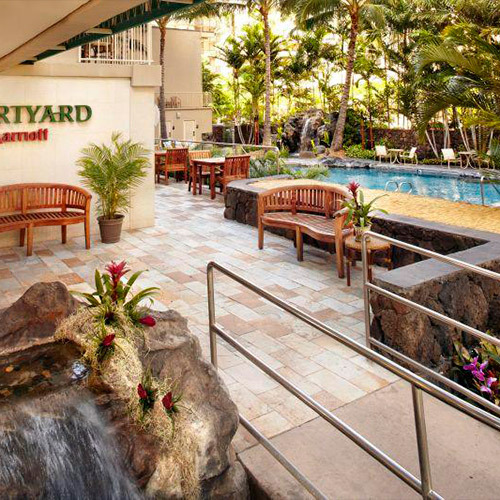 Other Waikīkī area temptations for those on vacation are the slick, three-level Pualeilani Atrium Shops complex at the Hyatt Regency Waikīkī Beach Resort & Spa, 2424 Kalākaua Ave.; King's Village , 131 Kaiulani Ave., which resembles Hawai‘i in the 1890s and boasts some 45 shops and restaurants; and Rainbow Bazaar , which brings items from Polynesia, Japan and Southeast Asia to the grounds of Hilton Hawaiian Village Waikīkī Beach Resort. Yet more shopping and dining opportunities are found at the nearly 8-acre Waikīkī Beach Walk on Lewers Street, which intersects with Kalākaua Avenue. Aloha Stadium Swap Meet & Marketplace , at Aloha Stadium, offers great bargains Wed. and Sat.-Sun. 8-3 (on Sun. the swap meet opens at 6:30; the marketplace opens at normal time). Admission is $1; free (ages 0-11). Two large suburban shopping centers are Kahala Mall , beyond Diamond Head via H-1 at 4211 Waialae Ave., and Pearlridge Center , at Pearl City via Kamehameha Highway. Kahala's more than 90 specialty shops and eateries are anchored by Macy's. At the Pearlridge, a monorail connects the center's two buildings which house more than 170 stores, restaurants and services that are anchored by Macy's and Sears. Waikele Premium Outlets , off H-1 exit 7 in Waipahu, has 50 stores, including Coach, Michael Kors and OshKosh B'gosh. Most of O‘ahu's shopping centers open daily at 9 a.m.; closing times vary. Honolulu is the perfect place for fun things to do with friends. Running the gamut from flip-flop-friendly beachfront bars to pulsing dance clubs to classy cocktail lounges, Honolulu’s countless nighttime entertainment options satisfy just about any whim. Picking up a local calendar at the beginning of your trip or chatting with your hotel concierge is a good way to find out what’s going on after dark on any given day, but do read on for a sampling of what the city has to offer. Waikīkī, with its abundance of drink-dispensing hotels, local restaurants and stand-alone establishments, is the destination to shake things up when the sun goes down. If a quintessentially Hawaiian nightlife experience is on your wish list, make your way to Duke’s at Outrigger Waikiki Beach Resort (2335 Kalākaua Ave., Suite 116). Complemented by rustling palms and glowing tiki torches, the casual open-air restaurant/bar is almost always packed with patrons—and for good reason. The views of the ocean and Diamond Head State Monument are stunning, and the live Hawaiian music can’t be beat; phone (808) 922-2268. If you’re looking—and willing to pay—for a more upscale, intimate Waikīkī nightspot on your vacation, head to Halekulani hotel’s chic, dimly lit Lewers Lounge (2199 Kalia Rd.). The plush seating and dark wood paneling and flooring help create the perfect ambience for sipping fabulous cocktails and soaking up live jazz tunes. A dress code is enforced, so you’ll have to leave the shorts and flip-flops behind; phone (844) 288-8022. You’ll also have to dress to impress and fork over some mad cash if you want to party at Addiction Nightclub in The Modern Honolulu by Diamond Resorts (1775 Ala Moana Blvd.). Open Thursday through Saturday, this sleek, colorful, high-energy club has velvet ropes, VIP tables, an amazing overhead light fixture, and DJs who keep the house and hip-hop beats going until the wee hours of the morning; phone (808) 943-5800. Include it in your list of things to do this weekend. Diverse droves of night owls flock to Chinatown, where barhopping is a breeze thanks to the cluster of establishments along Hotel Street. At trendy, upbeat Bar 35 (35 N. Hotel St.), beer connoisseurs and amateurs alike can belly up to the red bar or sink into a comfy couch and take their pick of 200-plus concoctions from 20 different countries. Happy hour at this happening hangout runs from 4 until 9 Tuesday through Friday and is exceptionally “happy” during themed events and DJ and band performances; phone (808) 537-3535. Just a hop, skip and jump away from Bar 35 is The Manifest (32 N. Hotel St.), a bookstore-turned-bar hailed for its impressive selection of whiskeys. The high ceilings, exposed brick walls, concrete floors and bar top, recycled furniture and interesting artwork give the place an artsy, industrial feel that’s far more San Franciscan than it is Hawaiian. During late-night hours, The Manifest typically trades its laid-back vibe for a club-like one. Why not add a delightful dose of art and culture to your evening out? During First Friday Honolulu Art Walk, held the first Friday of every month, a number of Chinatown watering holes, eateries, galleries and boutiques feature special activities, entertainment and art exhibits. Although most visitors do not come to Honolulu to attend a play or symphony concert, this destination offers both. Hawai‘i Performing Arts Company presents a season of Broadway and off-Broadway plays at Mānoa Valley Theatre on E. Mānoa Road; Diamond Head Theatre, an established amateur group, does likewise at Makapu‘u and Alohea avenues near Diamond Head. The dance and drama departments of the University of Hawai‘i give productions in Kennedy Theatre on the East-West Center campus. The Hawai‘i Opera Theatre performs in the concert hall at the Neal S. Blaisdell Center at Ward Avenue and King Street; the season runs October through April. The Neal S. Blaisdell Center's arena is the scene of concerts by pop stars. A bronze sculpture of Elvis Presley adorns the front of the arena, which hosted the music legend's 1973 concert that was aired in more than 40 countries. Films and a concert series are presented at the Honolulu Museum of Art. Movie houses are found throughout the city; some offer only Chinese and Japanese films. The daily papers and the calendar section of the monthly magazine Honolulu carry comprehensive listings of cultural events, so pick one up at the beginning of your vacation. Every week the Urasenke Foundation of Hawai‘i at 245 Saratoga Rd. presents public demonstrations of the traditional Japanese tea ceremony known as Chado, or the Way of Tea. Rooted in Zen Buddhism, the centuries-old ritual is an important part of Japanese culture. Visitors to the foundation watch a 15-minute video before witnessing this simple yet profound ceremony; admission is by donation and reservations are recommended. Phone (808) 923-3059. Make sure you ask your AAA travel agent about attending. Swimming, surfing, snorkeling and sailing focus, of course, on the beaches, of which Waikīkī Beach is primary. Beginning at Kūhiō Beach, just diamondhead (east) of Kapahulu Avenue, it runs the length of the peninsula to the Hilton Hawaiian Village Waikīkī Beach Resort. Waikīkī is one of the safest beaches on the island, with lifeguards overseeing the activities and beachboys coaching surfing or taking passengers out to run the breakers in an outrigger canoe. Surfboards also can be rented without an instructor. Concessions often are connected with the hotel facing that strip of beach. Sailing is a good way to see the island. Sail Blue Hawaii, (808) 347-0235, offers charters, instruction and cruises. Honolulu is also a center for hang gliding. Scuba diving and snorkeling are particularly rewarding in O‘ahu's clear waters. Equipment can be rented by divers who have a certification card, or instruction can be taken at one of several dive shops. Hawaiian Diving Adventures, (808) 232-3193, offers both scuba diving and snorkeling trips. Deep-sea fishing is excellent, particularly during the marlin and tuna runs in late spring and summer. Boats can be chartered for a full or half-day at Kewalo Basin at the foot of Ward Street. One company that offers fishing charters is SportFish Hawai‘i, (877) 388-1376. Foremost among nonaquatic sports in Honolulu is jogging. It would seem from the number of entrants in the Honolulu Marathon (roughly 30,000) that almost everyone does it. One heavily frequented route encircles Kapi‘olani Regional Park; you can learn of others by visiting one of the many shops that cater to runners' needs. Hiking also is possible within sight of the city; trails traverse Round Top Forest Reserve. Certain trails, particularly those in areas farther from the city, might be frequented by undesirables. Prospective hikers should first obtain information about safety and trail conditions, and trail maps from the Division of Forestry and Wildlife, 1151 Punchbowl St., Room 325, Honolulu, HI 96813; phone (808) 587-0166. Free park information brochures can be obtained from the Division of State Parks, P.O. Box 621, Honolulu, HI 96809; phone (808) 587-0300. Touring the island on a bicycle or taking a short ride through Waikīkī can be a rewarding experience. Horseback riding can be enjoyed at Kualoa Ranch & Private Nature Reserve, (808) 237-7321. Golf is both pleasant and challenging on O‘ahu's numerous courses. While some are open only to club members, others are open to visitors by agreement with their hotel. Of the public courses, Ala Wai is the closest and therefore has the longest wait to tee off; Hawai‘i Kai and Olomana also are popular. College and high school athletes play baseball, football and basketball in the Neal S. Blaisdell Center, the Aloha Stadium or The University of Hawai‘i at Mānoa's Les Murakami Stadium. Sports events and schedules appear in the daily newspapers. Cruises and boat tours are available aboard anything from a junk to a catamaran. Some explore the reefs off Waikīkī or visit Pearl Harbor; others offer recreation—chiefly swimming and skin diving—or dinner and dancing and other fun things to do. One of the best ways to get an overview of Honolulu and the rest of O‘ahu is on a guided tour scheduled by your AAA travel advisor. Costs vary with the mode of conveyance and itinerary. For example, a van tour will run about $60 per adult for a half-day trip and $75 for a full day; a bus tour will cost a little less, a sedan a little more. One advantage of a smaller vehicle, such as a van or limousine, is that it allows more opportunity for rapport with the driver/guide as you head to your destination. Waikīkī Trolley offers a coastline tour (Blue Line), a Diamond Head area tour (Green Line), a historic tour (Red Line), a Pearl Harbor area tour (Purple Line) and the Ala Moana Shopping Shuttle (Pink Line). Depending upon the trolley tour chosen, riders may get off and board a later trolley all day, enjoying many of the things to do in Honolulu in between. The first trolleys depart between 8:30 and 9 a.m. and the last trolley pickup is between 8 and 10 p.m., depending upon the tour and the day of the week. Trolleys leave every 10 to 40 minutes and run daily. Phone (808) 593-2822 for schedule and fare information. Gray Line offers a variety of sightseeing tours departing from Waikīkī; phone (808) 833-3000 or (888) 206-4531. A lū‘au is a Hawaiian picnic featuring traditional food and dance, and a must if you are booking travel packages to Hawaii. The lū‘au food is cooked in an imu, an underground oven, which is formed by pōhaku (heating rocks) in a pit in the ground. The pit is lined with fresh leaves, filled with native vegetables and a prepared pig, then surrounded by heated rocks that also are placed inside the pig. The whole feast is then covered with leaves or canvas and allowed to cook for about 6 hours. The pork tends to be salty—a nice contrast with the traditional poi, the pounded taro-root dish of which there are many variations. Polynesian entertainment adds flavor to the colorful proceedings. Found at various locations, lū‘au last about 3-4 hours and are only by reservation. Adult prices generally range from $75 to $165, with discounted prices for students and children. One of the more established Honolulu-area lū‘au is Germaine's Lū‘au, (808) 949-6626 or (800) 367-5655. Another solid choice is Paradise Cove Lū‘au, (808) 842-5911 or (800) 775-2683. Three days is barely enough time to get to know any major destination. But AAA travel editors suggest these activities to make the most of your time in Honolulu. Pay homage to the 3,581 Americans killed or wounded at Pearl Harbor on Dec. 7, 1941, when the Japanese launched a surprise assault on the U.S. naval base and its Pacific Fleet. After the early morning strike, a dozen U.S. ships were either sunken or beached and more than 300 U.S. aircraft had either suffered damages or been destroyed. Whether you choose to drive or take TheBus (direct routes are Nos. 20 or 42 from Waikīkī) to Pearl Harbor, arrive early—some 5,000 somber tourists visit the area daily. Several sites present artifacts from the battle, while interpretive programs and dramatic multimedia displays and films document the “Day of Infamy.” Just offshore is the striking USS Arizona Memorial ; the white linear structure traverses the final resting place for most of the 1,177 crew members who perished after a devastating armor-piercing bomb hit the battleship. At the Battleship Missouri Memorial , you walk the decks of the “Mighty Mo,” where, in 1945, Japanese representatives signed an official surrender agreement ending the Second World War. Visitors to the USS Bowfin Submarine Museum & Park discover what life was like for the 80 men stationed on this underwater vessel, launched exactly a year after the Pearl Harbor attack. The park also encompasses a waterfront memorial to World War II's fallen submariners. Grab a bite and explore downtown Honolulu, where cultural and historic sites are clustered together amid gleaming skyscrapers and tall, bending palm trees. Walk through the Cathedral of Our Lady of Peace to admire its vibrant stained-glass windows, or browse the metalwork, oil paintings and crafts displayed at the Hawai‘i State Art Museum (HiSAM). At Iolani Palace, docents lead you through the country's only official royal residence; it was here that Queen Lili‘uokalani, the last reigning monarch of the Kingdom of Hawai‘i, was imprisoned in 1893 after being deposed by those in support of Hawai‘i's annexation by the United States. An accomplished musician and songwriter, she composed about 165 songs while confined within an austere room on the second floor of this otherwise opulent palace. Today a bronze statue of the revered queen stands between the palace and another architectural gem, the Hawai‘i State Capitol. Treat yourself to a memorable dinner at the flagship Roy’s . (It’s a good 12 miles from the center of Honolulu, but it’s well worth the drive.) Innovatively melding European cooking practices with Asian and Pacific Rim flavors, chef Roy Yamaguchi has been pleasing patrons’ palates since 1988. Start with dim sum, sushi or another tantalizing appetizer, then bite into the seared scallops, blackened ahi or macadamia nut-encrusted mahi-mahi. Better yet, order off the three-course prix-fixe menu, which pairs with an impressive wine selection. Roy’s casually upscale dining room features an open kitchen and affords gorgeous views of Diamond Head and Maunalua Bay. Wondering where to eat? Head ma kai (toward the ocean) to Nico's Pier 38, a low-key, waterfront eatery where you can savor a hearty, skillfully prepared meal for less than you might expect to pay thanks to the restaurant's proximity to a fish auction. (It's right next door, so whether you come for breakfast or lunch, Nico's is likely to be packed with ravenous auction workers and fishermen.) Hailing from Lyon, France, chef Nico Chaize serves up such Hawaiian staples as the plate lunch, infusing dishes typical to the locale with a dash of French gusto. Early risers might try a three-egg fish omelet or the French toast made with sweet bread from a Honolulu bakery. For a later visit, there's no better choice than the furikake pan-seared ahi, though chef Chaize's juicy, hand-packed double cheeseburger is hard to pass up, even at a place known for its floppingly fresh seafood. Emulate one of O‘ahu's most distinctively dressed personalities: Magnum P.I. Vibrant Hawaiian shirts—an essential part of the '80s TV sleuth's wardrobe—hang throughout Bailey's Antiques and Aloha Shirts (517 Kapahulu Ave.), their elaborate designs showcasing the plants, birds and culture of Hawai‘i. While Bailey's boasts a selection of more than 15,000 shirts (you can buy a tacky-tourist polyester top for about $10 to remember your trip or spend a few hundred bucks splurging on a more sought-after vintage piece), the crammed store also sells everything from early-20th-century Hawaiian postcards to Elvis Presley collectibles. Now that you're decked in more suitable island attire, the only logical destination is Waikīkī Beach, a 2-mile stretch where sun-burnt vacationers lounge along sandy white shores and surfers ply the waters waiting for a wicked swell. While you might choose to spend the day swimming, building sand castles or boogie boarding near the Kapahulu Groin (a pedestrian walkway extending into the ocean), if there's not enough time to get down and dirty by the seashore, do a little sightseeing. In Kuhio Beach Park off Kalākaua Avenue, gaze at the “wizard stones” of Kapaemahu and try to unlock ancient secrets said to be hidden away inside the four boulders. Just east, across from the Hyatt Regency Waikīkī Beach Resort & Spa, place a lei on a monument steeped in controversy since its dedication in 1990. Honoring Duke Kahanamoku, an Olympic medal-winning swimmer who helped popularize the sport of surfing in the early 1900s, the statue depicts the legendary athlete standing with his back to the crashing ocean waves—something a “real” surfer simply would never do. Sway in your seat (if you can find one) as strolling musicians pluck ‘ukulele and sing old-school Hawaiian songs at Duke's at Outrigger Waikiki Beach Resort . As the sun sets, sip mai tais with your new ‘ohana (family) while surveying the colorful, ever-changing twilight mosaic dancing above the sea. In the distance the Diamond Head State Monument volcanic crater looms over twinkling azure waters where the eatery's namesake—Waikīkī's favorite son Duke Kahanamoku—purportedly rode a monstrous 30-foot wave. With its spectacular coastal views and an open-air bar classically complemented by tiki torches and rustling palm trees, this oasis of a restaurant caters to both tourists and locals alike. But no matter where you reside, you're sure to return to Duke's during your vacation for more of its sinfully delicious fare, whether it takes 15 minutes or 15 hours to come back for seconds. Get wrapped up in a quilt of sights, smells, sounds and flavors in Honolulu's Chinatown, a community that is resilient (it survived two fires and an outbreak of the bubonic plague) and diverse (you'll notice splashes of other Asian cultures, including Filipino, Japanese, Korean and Vietnamese). Fringed by N. Beretania, Bethel and River streets and the N. Nimitz Highway, the district encompasses ornate temples shrouded in musky incense and restaurants bustling with steaming dim sum carts. Stroll the area in the early morning, when its many noodle factories are abuzz manufacturing udon and ramen. You'll also see (and smell) Oahu Market—offering up fresh produce, fish and meats much as it has since 1904—as it springs to life at the corner of N. King and Kekaulike streets. Another marketplace, its maze of stalls overflowing with colorful trinkets, is on Maunakea Street, a thoroughfare besieged by stores proffering fragrant, handmade lei. On a busy day, a lei shop can easily go through several gallons of pikake (a type of jasmine) and tens of thousands of tuberoses, orchids and carnations. Learn insider tidbits about Chinatown's history and architecture by booking a walking tour through the Hawai‘i Heritage Center, (808) 521-2749, or the Chinese Chamber of Commerce, (808) 533-3181. “Watch out for falling cannonballs,” directs a sign at the Foster Botanical Garden, located about 2 blocks northeast of Chinatown. Similar in size and appearance to a coconut, the fruit of the cannonball tree (Couroupita guianensis) hang from vinelike stalks covering the tree trunk. Unlike the brown, lackluster “cannonballs” that emit an unpleasant smell once their casing is cracked, the species' intricate, intoxicatingly fragrant flowers are prized and are said to resemble a sacred Hindu symbol. German botanist and physician William Hillebrand planted many of the rare and imposing trees found on the botanical garden grounds in the mid-1800s. Covering about 14 acres, it also is home to dazzling orchids and primitive plants from around the world. Leave the flip-flops behind and indulge yourself in paradise. The top-notch chefs at local restaurants such as Bali Steak & Seafood , La Mer and Orchids will ensure you're well-fed on your vacation, preparing such dishes as hot and sour eggplant ravioli, steamed Manila clams and Kobe-style beef with bordelaise sauce. No matter where you choose to dine, book early, and, of course, request a table with a view. Refined elegance and heavenly Waikīkī scenery await you at Bali, a AAA Four Diamond restaurant inside the oceanfront Hilton Hawaiian Village Waikīkī Beach Resort. La Mer, a AAA Five Diamond restaurant, and the Four Diamond Orchids present arresting seascapes at the Halekulani hotel. Enjoy a cup of pressed Kona coffee with dessert in one of the chic lodging's distinctive dining rooms, then move to the Lewers Lounge for cocktails and classic tunes. Island ali‘i (chiefs) loved its beautiful beaches, coconut palm groves, exotic foliage and spectacular vistas, all things celebrated in the Honolulu area's many natural attractions. Hike three quarters of a mile to the 761-foot-high summit rim of the Diamond Head State Monument volcanic crater, where you're treated to a bird's-eye view of nature's splendor. For other dramatic panoramas and beautiful sights to see on your vacation, venture to the Nu‘uanu Pali State Wayside and Pu‘u ‘Ualaka‘a State Wayside . Kamehameha the Great scored a decisive victory in the conquest of O‘ahu at Nu‘uanu Pali, a 1,200-foot-high gap between 2,000- to 3,000-foot cliffs. Winds on the perch can approach gale-force strength, so hold on tight to anything you're not willing to lose. A popular picnicking destination, Pu‘u Ualaka‘a (which translates as “rolling sweet potato hill”) affords views from Diamond Head clear across to the Waianae Range. For more up-close-and-personal encounters with nature to include during your Hawaii travel, wander through the 14-acre Foster Botanical Garden, which began in 1853 and now comprises 4,000 species of tropical trees and plants from all over the world. Hybrid orchids, primitive cycads and many varieties of palms effectively grab your interest. The focus remains on botany at Lyon Arboretum, a 194-acre rain forest teeming with native Hawaiian, Polynesian and other verdant plants. Tiny, vibrant flowers contrast with towering breadfruit trees. Looking for fun things to do this weekend? AAA GEM attraction Hānauma Bay Nature Preserve shifts your attention to what lies under the water. In what remains of a volcanic crater below Koko Head, the bay entices scuba divers, snorkelers and swimmers, particularly on weekends. Home to Pearl Harbor, the island recalls its unfortunate place in World War II history in a trio of AAA GEM attractions. The USS Arizona Memorial pays haunting homage to the 1,177 sailors who perished during a Japanese air raid on Dec. 7, 1941. Measuring 106 by 608 feet, a stark, rectangular memorial spans the ship's sunken hull, in which most of the dead are entombed. Inside the Pearl Harbor Visitor Center , you can watch a 23-minute documentary and tour a museum with interactive exhibits, audiovisual displays, oral histories, photos and artifacts. Just north of the Pearl Harbor Visitor Center, you can explore both the USS Bowfin Submarine Museum & Park and the Battleship Missouri Memorial. The former lets you experience how the submarine's crew lived. The museum's displays and videos further document the role and history of submarines, and a memorial honors the 52 U.S. submarines lost and more than 3,500 crewmen who died during the war. The latter recounts the missions of “Mighty Mo,” a veteran not only of World War II but also of the Korean and Gulf wars. Wander on the Surrender Deck, where Japan signed the official act of surrender that brought World War II to an end. Delve into another aspect of Hawaiian history at Bishop Museum, a AAA GEM attraction. Check out the broad collection of natural history and cultural displays, including kings' ‘ahu‘ula (feathered capes), Polynesian art, nose flutes and calabashes, then gaze at the Pacific sky from the observatory and planetarium. Polynesian Cultural Center, a AAA GEM attraction, studies the heritage of the South Seas region. Tour the facility on foot or in a canoe, or analyze displays of art, crafts and items related to regional customs and sports. Ask your AAA travel advisor about the Honolulu Museum of Art, a AAA GEM attraction that boasts an Asian collection said to rank among the nation's finest. Japanese screens and hanging scrolls, Buddhist and Shinto sculpture, Chinese furniture and porcelain, Korean ceramics and Indian stone sculpture share exhibit space with Italian Renaissance paintings, Mayan and Greek pieces and creations by American and European masters. Pull on a pair of floor-friendly booties and take the Grand Tour through Iolani Palace, which focuses on the islands' royal history. King Kalākaua's 1882 palace houses crown jewels, feathered cloaks and scores of other lavish appointments. Portraits of Hawaiian royalty hang inside nearby Kawaiaha‘o Church, the 1842 coral-block building where rulers once worshiped and commoners give praise today. A 1912 Stephan Sinding statue of a grieving woman tugs at your heartstrings. Embellished with volcanic rock, the rectangular 1969 Hawai‘i State Capitol, a AAA GEM attraction, houses the state's executive and legislative branches of government. The building's architecture exemplifies nature: the reflecting pool, symbolic of the ocean; the conical legislative chambers, symbolic of volcanoes; the perimeter columns, symbolic of coconut palms; and the open-air design, which enables sun, rain and wind to enter. For out-and-out fun, it's hard to beat the splash and flash of Wet ’N’ Wild Hawai‘i. The 29-acre water park incorporates water slides, a huge wave pool, a lazy river and a recreation area just for your little ones. The area's animal-oriented attractions also allow for enjoyable adventures. You'll find some native creatures wandering through Honolulu Zoo, but many of the facility's 1,200-plus residents, including giraffes, elephants and lions, found their way here from other corners of the world. If animals of the sea interest you most, the exhibits at the 1904 Waikīkī Aquarium won't disappoint. The chambered nautilus—a spiral-shelled mollusk that inspired Jules Verne's 20,000 Leagues Under the Sea—merits top billing, but giant clams, Hawaiian monk seals, sharks, sea dragons and a living coral ecosystem also garner interest. Sea Life Park in Waimānalo allows for observation of penguins, California sea lions and other marine life. You can interact with dolphins, walk amid reef inhabitants and take underwater pictures of varied denizens of the deep. The park's most famous resident is a wholphin named Kekaimalu, a hybrid of a false killer whale and Atlantic bottlenose dolphin. Two days before Christmas in 2004, Kekaimalu delivered Kawili Kai: a three-quarters-dolphin/one-quarter whale female calf. If you can visit only one memorable restaurant in Honolulu, then make La Mer the one. In the beautiful Halekulani Hotel, the second-floor spot offers stunning ocean views, including glorious Hawaiian sunsets when the place opens. Men must wear a jacket; loaner jackets are provided for those underdressed. Island flavor infuses fabulous French dishes, such as abalone meunière, with exotic, rich sauces. For something more traditional, choose the flavorful filet of beef. Finish your meal with an outstanding dessert presented on an elegant cart. Chef Mavro —an independently owned restaurant that has held AAA's Five Diamond Award since 2008—flourishes under the hand of Frenchman George Mavrothalassitis, who worked in many top spots in France and Hawai‘i before opening his own easily accessible restaurant just outside of the Waikīkī area. For a memorable experience during your trip, try the three-, four- or six-course dinners with optional wine pairings. Succumb to the temptation of a signature dish: award-winning onaga (red snapper) baked in Hawaiian-sea salt crust, Hudson Valley foie gras and Hawaiian lobster in vanilla-coconut sauce. Such exotic flavors as lemongrass, rosemary and Madras curries enhance each dish, and extraordinary desserts are made fresh daily. Just outside the Waikīkī area is one of Hawai‘i's longtime favorite nearby restaurants, Alan Wong's Restaurant. Long showered with raves and awards from locals and media alike, this place gives you a great taste of Hawaiian regional cuisine from a daily changing menu. Innovative dishes employ the freshest locally grown produce and Pacific Ocean ingredients. Menu listings marked with a pineapple designation are signature dishes. Diners can order a la carte, but for the most memorable experience, opt for a menu tasting with or without wine pairings. The dining room can get loud in the popular spot; call ahead to request a quieter table. When the flagship Roy's opened in 1988, chef Roy Yamaguchi was hailed as the first chef to mix European cooking practices with fresh Asian and Pacific Rim ingredients. Some called it “Eurasian,” but Yamaguchi preferred “Hawaiian fusion.” The chef's restaurant conglomerate now includes 20 eateries in the continental United States, six in Hawai‘i, one in Japan and one in Guam, but everything started at this destination. The specialty is seafood, but excellent choices also entice die-hard meat lovers. You can't go wrong with a signature dish or the big-time value in the three-course prix-fixe menu. The casually upscale dining room features a glass-enclosed exhibition kitchen as well as exquisite views of Diamond Head and Maunalua Bay. Inside the Outrigger Waikiki Beach Resort , Duke's arguably ranks as the state's busiest restaurant and bar, drawing capacity crowds no matter the time of day (breakfast, lunch or dinner) or the occasion. Named in honor of surfing legend Duke Kahanamoku, this popular watering hole on Waikīkī Beach overlooks the spot where Duke caught his biggest wave. Highly recommended seafood preparations, including flavorful fresh fish, set you up for hula pie, billed as “the dessert that the sailors swam ashore for.” The shareable treat piles macadamia nut ice cream, chocolate fudge, whipped cream and more nuts on a chocolate cookie crust. For more than 30 years, knowledgeable diners have supported the Chart House Waikiki, where fresh island fish and seafood serve as the basis for such dishes as bouillabaisse, pan-seared herb-crusted ahi, prawns sautéed in Szechuan chili oil and spiny lobster tail. Carnivores salivate over juicy roasted prime rib of beef and filet mignon. Oenophiles will find Italian Pinot Grigio to Californian Cabernets among the more than 100 selections. End your meal on a sweet note with bananas Foster, New York-style cheesecake or the signature mud pie: three layers of chocolate, coffee and vanilla ice cream with decadent fudge in an Oreo crust. Talented chef Russell Siu, who also owns the wonderful 3660 On the Rise, pleases the on-the-go crowd with healthy, budget-priced breakfasts, lunches and dinners at Kaka'ako Kitchen. Don't expect anything fancy at warehouse-like Kaka'ako, which serves good home-style cooking on polystyrene plates. For less than $15, you can nosh on a tempura mahi mahi sandwich or fried pork chops with sausage stuffing. Other good choices are beef stew and five-spice shoyu chicken. Tasters shower raves on the amazing bread pudding, but you can't go wrong with a brownie or guava bar either. For the ultimate carb fix during your vacation, head to Leonard’s Bakery , a small, family-run establishment that has been sustaining sweet-toothed patrons since the 1950s. It’s famous for its delectable malasadas (traditional Portuguese hot treats consisting of deep-fried, sugar-coated sweet yeast dough), and you should definitely order one—or 10—when it’s your turn (yes, there will be a line). The cookies, pastries, pies, coffee cakes, pão doce (sweet bread) and other menu offerings also are to die for. In addition to its many cultural and historic landmarks, this destination hosts a number of outstanding festivals and events that may coincide with your visit and offer fun things to do with friends. Dancing, music, crafts and demonstrations at several venues citywide help promote harmony between Hawaiians and people of the Asia-Pacific region during the Honolulu Festival in March. The celebration wraps with the Grand Parade, which wends down Kalākaua Avenue. April’s Hawai‘i International Film Festival Spring Showcase presents a menu of independent and foreign films. In late April, Kalākaua Avenue is packed with Spam lovers during Waikīkī Spam Jam , a street festival that celebrates the canned luncheon meat with a cook-off, games and live entertainment. During the Memorial Day Ceremonies at the National Memorial Cemetery of the Pacific (Punchbowl Cemetery) , members of the armed forces pay tribute to soldiers who sacrificed their lives for their country. Aloha Stadium welcomes the entertainment, cultural and educational displays, food, games and rides of the 50th State Fair from late May through early July. Orchids add a splash of color to the agricultural exhibits at this popular event. The King Kamehameha Celebration Floral Parade in early June includes the floral parade, entertainment and partying in the streets of Waikīkī. In late June dancers from Japan, the mainland United States and Hawai‘i swivel, swirl and sway during the King Kamehameha Hula Competition , held at the Neal S. Blaisdell Center. The Aloha Festivals —a huge-scale celebration that incorporates parades, lū‘au, pageants and entertainment on six islands in September—exposes participants to Hawaiian history and traditions, including food, music, dance and art. If you travel during autumn, a pair of outrigger canoe races—the September Na Wahine O Ke Kai for women and the October Moloka‘i Hoe Outrigger Canoe Championship for men—challenge rowers to navigate the 40-plus-mile route across the Ka‘iwi Channel from Moloka‘i to Waikīkī. In November, one of the great things for couples to do is attend the Hawai‘i International Film Festival screens hundreds of productions, focusing particularly on Asian, Pacific Island and U.S. features, documentaries and videos. The soul-stirring sounds of taps hang in the air during Pearl Harbor Day Commemoration ceremonies on December 7 at the Pearl Harbor Visitor Center . Floral offerings, a rifle salute and a wreath presentation also honor those who perished during the attack. A thrill for the tens of thousands who lace up their sneakers as well as the cheering spectators who line the route, the Honolulu Marathon covers 26.2 miles on its way to Kapi‘olani Regional Park on the second Sunday in December. In late December the Hawai‘i Bowl pits a Conference USA team against a Mountain West team; the postseason game is held at Aloha Stadium. British Capt. James Cook gets credit in the history books for being the first European to discover Hawai‘i in 1778, but anthropologists suggest Polynesians have been on the islands and inhabiting this destination since 300 AD. It wasn't until 1810 that the Kingdom of Hawai‘i came to exist under the rule of Kamehameha the Great, the first in a popular dynasty that governed the Hawaiian islands. When bachelor Kamehameha V died in 1872, naming no heir, a popular vote placed William Lunalilo on the throne. His death just a year later passed governance to David Kalākaua. The kingdom's swelling debt under Kalākaua, a global traveler who built Honolulu's Iolani Palace, stirred unrest among his subjects, some of whom pushed to replace him and others who favored ending the monarchy and annexing the islands to the United States. A group of dissenters forced Kalākaua to abdicate much of the monarch's authority in the 1887 Constitution of the Kingdom of Hawai‘i, known commonly as the Bayonet Constitution because Kalākaua signed it with a bayonet at his throat. When Kalākaua died in 1891, his sister, Lydia Lili‘uokalani became the last of the Hawaiian monarchs. Lili‘uokalani's attempt to restore political and economic power to the throne spurred troops from the USS Boston to come ashore in Honolulu on Jan. 17, 1893, and depose her in a bloodless coup. U.S. President Grover Cleveland, who came into office shortly afterward, offered to return the throne if she agreed to grant amnesty to those who overthrew her. However, her initial refusal ultimately resulted in proclamation of the Republic of Hawai‘i. Although most Hawaiians opposed annexation and favored restoration of the monarchy, the new republic quieted their voice by imposing property and income qualifications that prevented them from voting. Rendered powerless, the people could do nothing to stop the 1898 signing of the annexation treaty. Most Hawaiians came to accept the islands' position as a U.S. territory, and that status remained convenient for Hawai‘i, particularly the plantation owners who weren't bound by U.S. immigration laws, until World War II. The Dec. 7, 1941, attack on Pearl Harbor not only boosted Hawaiians' desire for political muscle in Washington but also rallied support among mainlanders who recognized Hawai‘i's growing importance to the country. The Hawai‘i State Bill passed in March 1959, Hawaiians voted in June to accept it, and on Aug. 21, Hawai‘i was proclaimed the 50th state. An overwhelming majority of Hawaiians today favor continued statehood. The Go O‘ahu Card The Go O‘ahu Card is an all-access pass offering admission to more than 30 top O‘ahu things to do and attractions you should see during your vacation, including the USS Bowfin Submarine Museum & Park, Lyon Arboretum, Battleship Missouri Memorial at Pearl Harbor, Iolani Palace, The Polynesian Cultural Center and a catamaran cruise. The card is purchased by the day (1, 2, 3, 5 or 7 days) and saves customers up to 55 percent compared to the combined admission price at the gate. The Go O‘ahu Card is available online or by phoning (800) 887-9103.